The radiographic service is run by our Veterinary Surgeons as part of the BVA/KC canine health scheme. It involves x-raying the hips, plus elbows if required, of certain canine breeds (eg labrador, german shepherd dog) which are known to be genetically susceptible to hip and or elbow dysplasia. 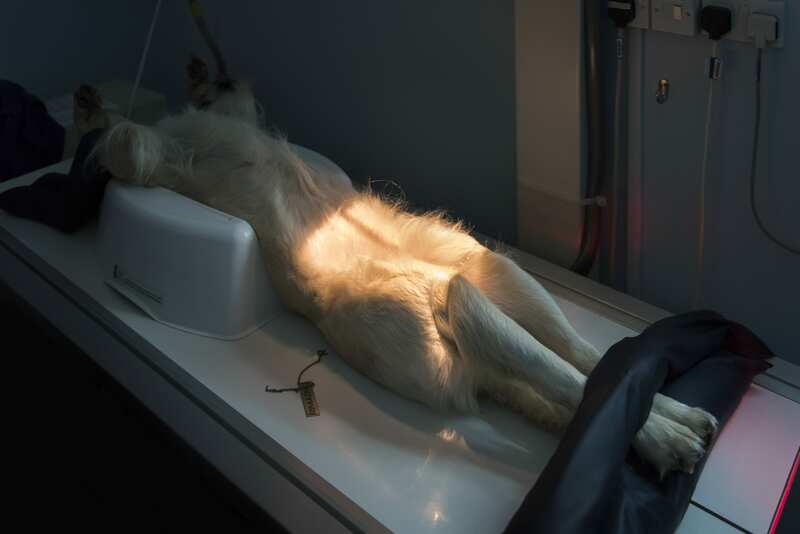 The radiographs are taken using a fast acting and reversible sedation, under which the dogs are totally relaxed so can be placed in the necessary positions without the requirement for manual restraint. It may be possible, by prior arrangement, for you to wait whilst the x-rays are taken. These are then posted, using recorded delivery, to the British Veterinary Association (BVA) to be examined and scored by a team of independent, veterinary, orthopaedic specialists. The hip and elbow radiographs are scored on faults – the lower the score, the better the conformation of the hip and elbow. The current BVA advice is to only breed from dogs with a hip score of below the breed average and to only breed from a dog with a zero elbow score. All x-rays taken are submitted to the BVA for scoring. If only those dogs with good hip and elbow scores are submitted, it does not portray a true representation of the potential problem within the breed, and it falsely lowers the breed average. Please always think of the future health of your breed, as it is only by participating fully in schemes such as this that we can improve the health and hence quality of life of our beloved pets. 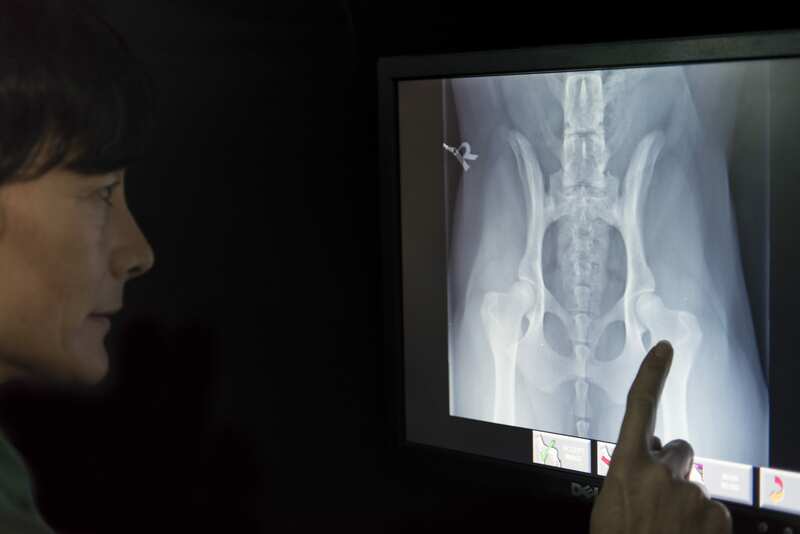 All radiographs are carried out safely and in full accordance with the requirements of the ionising radiation rules and in total compliance of health and safety regulations. Dogs must be over one year of age. Do NOT feed your dog on the day of the x-ray. When making the appointment, you will need the dogs KC registration number and microchip number which will be recorded by ourselves as part of your dogs details. X-rays sent to the BVA will be scored and sent back to us within 4-6 weeks. Please contact the surgery for current prices.